Soooo MATCHA-LOVE for this bad boy!! This is the best smoothie for a refreshing kick of caffeine and good fats, without the crash! You will have the energy to get you through a busy morning and last until lunch. You have a perfect balance of protein from the chia seeds, good fats from the avo, and natural sweetness from the banana and cinnamon and best of all ALL the goodness from the MATCHA! I have a few favourite Matcha recipes which I will post. It seriously is such an amazing powerhouse superfood! Matcha is knows to increase concentration and focus, enhance your metabolism, strengthen your immune function and give you clearer skin!! Do you really need all other reasons, I’m pretty sure these ones will make you fall in love! 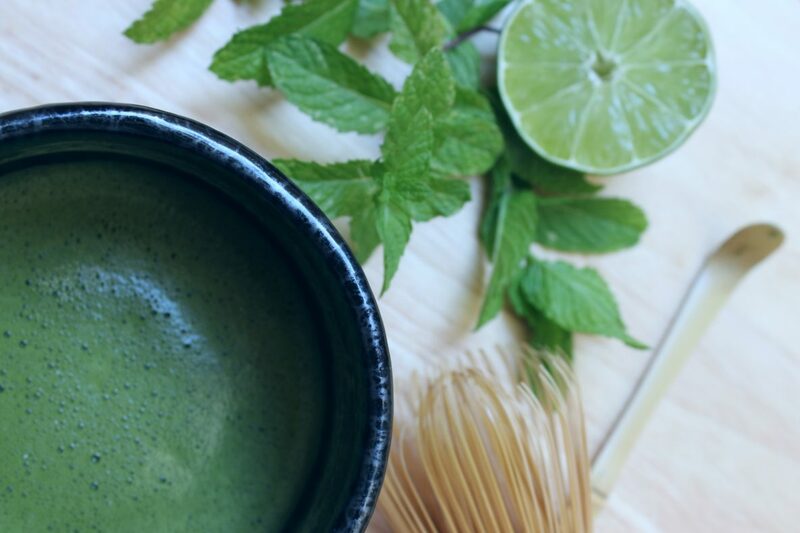 When I know I have a big day or work or study or need that little extra focus for a meeting, I always make sure I have a matcha latte, tea or smoothie to give the added edge. very very sneaky! Add a couple of cubes of ice and wollah!